SMi Group’s European Smart Grid Cyber Security conference and exhibition returns to London in March 2017 for its 7th year! SMi’s 7th Annual European Smart Grid Cyber Security will be returning to London on 21st -22nd March 2017 to provide exclusive updates on advanced technological solutions and raise stakeholder awareness to prevent and control cyber security threats on smart grid projects. 11:00 Cyber security culture: What can we learn? How does European Network for Cyber Security (ENCS) contribute to strengthening of cyber security? What are the next steps in cyber security? Smart Grids are evolving and becoming more complex. Understanding the risks present within these environments, in both an Operational context as well as a from a Cybersecurity perspective, is increasingly difficult. To ensure continued safe service and operations within the Smart Grid, a greater degree of visualization and understanding needs to be achieved. This presentation discusses these challenges and presents some ideas for overcoming these issues. View details SecurityMatters Sponsors and Exhibitors http://www.secmatters.com SecurityMatters provides critical infrastructure and industrial automation companies with best-of-class industrial cyber resilience technology that enables quick identification and recovery from threats to operational continuity. SecurityMatters has a global customer base, with partners and customers in all critical industries. The unique knowledge and expertise of SecurityMatters were recognized by Gartner in 2014, when SecurityMatters became the first company ever nominated as a Cool Vendor for technology and service providers in the OT market. Based on continuous research and development, innovation and dedication to excellence we continue to strive and lead the way in industrial cyber resilience. View details Waterfall Security Sponsors and Exhibitors http://www.waterfall-security.com/ Waterfall Security’s mission is to revolutionize the way industries protect their physical assets and processes from remote cyberattacks. With patented unidirectional technology embedded in each product of Waterfall’s portfolio, our customers are able to balance business and operational needs with their required level of cybersecurity. Business requirements are fulfilled, and operational processes continue in a safer environment without risks of remote attacks and malware propagation from the external connections. Since 2007, Waterfall Security is the global leader in industrial cybersecurity technology. Waterfall products, based on its innovative unidirectional security gateway technology, represent an evolutionary alternative to firewalls. The flagship product, the Unidirectional Security Gateway, creates an impassable, physical barrier eliminating the possibility of external online attacks from reaching the industrial environment. Through the Unidirectional Security Gateway, real-time access to information from the industrial site is made available, enabling IT/OT integration, operational visibility by headquarters, vendor monitoring, industrial cloud services, and many other advanced and critical business needs. Waterfall offers a comprehensive solution portfolio for a variety of business and operational requirements in many industries. Each solution enables business and operational processes to continue without risk of remote attacks, and does so cost effectively. Having eliminated interactive remote control attacks, industrial sites benefit from cost reductions at many levels. Maintenance costs of the Waterfall technology are dramatically lower than any alternative. In addition, using Waterfall’s technology reduces the costs and facilitates compliance with various governmental regulations and best-practice recommendations such as NERC CIP, NRC, NIST, CFATS, ANSSI and others. The company's growing list of customers include national infrastructures, power plants, nuclear plants, on/off-shore platforms, refineries, manufacturing plants, utility companies, plus many more. Deployed throughout North America, Europe, the Middle East and Asia, Waterfall products support the widest range of leading industrial remote monitoring platforms, applications, databases and protocols in the market. View details European Network for Cyber Security Official Associations https://www.encs.eu/ The European Network for Cyber Security (ENCS) is a non-profit member organization that brings together critical infrastructure stake owners and security experts to deploy secure European critical energy grids and infrastructure. Founded in 2012, ENCS has dedicated researchers and test specialists who work with members and partners on applied research, defining technical security requirements, component and end-to-end testing, as well as education & training. View details Bodo's Power Systems Supporters http://www.bodospower.com Launched in June 2006, Bodo’s Power Systems magazine serves the Power Electronics, Power Management, Power Conversion, Intelligent and Embedded Motion Control markets worldwide for systems design engineers. View details Cities Today Supporters http://www.cities-today.com Cities Today is the only global media platform containing analysis, comment and best practices on sustainable urban development, connecting local governments with public and private sector solutions. With an expert editorial advisory board comprising the World Bank, UN-Habitat, UNEP, and city associations ICLEI, C40, UCLG ASPAC, UCLG Africa, UCLG MEWA, Sister Cities International and FLACMA, the publication highlights the challenges facing city leaders and local governments in mobility, finance, smart technology, health care, energy efficiency, water, sanitation, security and housing. View details Cyber Security Market Supporters http://www.cybersecuritymarket.com Find the latest information on Cyber Security, Access Control Management, Cyber Security Technologies and Markets. Cyber threats to federal information systems and cyber-based critical infrastructures are evolving and growing. These threats can be unintentional and intentional, targeted or nontargeted, and can come from a variety of sources, such as foreign nations engaged in espionage and information warfare, criminals, hackers, virus writers, and disgruntled employees and contractors working within an organization. Moreover, these groups and individuals have a variety of attack techniques at their disposal, and cyber exploitation activity has grown more sophisticated, more targeted, and more serious. As government, private sector, and personal activities continue to move to networked operations, as digital systems add ever more capabilities, as wireless systems become more ubiquitous, and as the design, manufacture, and service of information technology have moved overseas, the threat will continue to grow. In the absence of robust security programs, agencies have experienced a wide range of incidents involving data loss or theft, computer intrusions, and privacy breaches, underscoring the need for improved security practices. These developments have led government officials to become increasingly concerned about the potential for a cyber attack. View details CyberSecurityJobsite.com Supporters http://www.CyberSecurityJobsite.com CyberSecurityJobsite.com is an on-line job board designed and marketed to attract candidates who work within the Cyber Security environment. We advertise 100’s of job opportunities both on a Permanent and Contract basis covering opportunities within all industry sectors. Visit our site www.CyberSecurityJobsite.com to search for your next job opportunity. 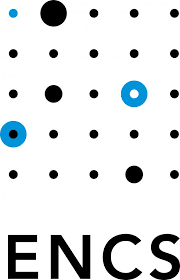 View details EDSO for Smart Grids Supporters http://www.edsoforsmartgrids.eu EDSO for Smart Grids gathers leading European electricity distribution system operators (DSOs) cooperating to bring smart grids from vision to reality. The development of smart grids is a prerequisite to reaching the EU’s ambitious energy, climate, internal market and energy security objectives. EDSO and its members are committed to this challenge whilst at the same time promoting the reliability, optimal management and technical development of the electricity distribution grids. Our association is the key interface between the DSOs and the European institutions, promoting the development of smart grid technology, new market designs and regulation. You can find more information on our website and brochure. View details International Journal of Electronic Security and Digital Forensics Supporters http://www.inderscience.com/ijesdf IJESDF aims to establish dialogue in an ideal and unique setting for researchers and practitioners to have a knowledge resource, report and publish scholarly articles and engage in debate on various security-related issues, new developments and latest proven methodologies in the field of electronic security and digital forensics. This includes the measures governments must take to protect the security of information on the Internet, the implications of cyber-crime in large corporations and for individuals, vulnerability research, zero day attacks, digital forensic investigation, ethical hacking, anti-forensics, identity fraud, phishing, pharming, relevant case studies, and "best practice" for tackling cyber crime. View details International Journal of Information and Computer Security Supporters http://www.inderscience.com/ijics Computer security has been a major concern since the 1950s. The ubiquity of the internet has engendered the prevalence of information sharing among networked users and organisations. This has rendered possible countless invasions of privacy/security worldwide. The risk of invasion has generated enormous concern about information and computer security among businesses, governments, legislators, academics, researchers, scientists and the public. The International Journal of Information and Computer Security addresses development of information and computer security in the fields of information technology, political science, informatics, sociology, engineering and science. View details International Journal of Security and Networks Supporters http://www.inderscience.com/ijsn IJSN proposes and fosters discussion on and dissemination of network security related issues. View details International Journal of Systems, Control and Communications Supporters http://www.inderscience.com/ijscc A fundamental, omnipresent feature of the global information age is that cyber-capabilities, e.g. computing, communication and control, are inherently embedded in numerous physical/engineered systems from the nano-world to large-scale systems-of-systems. Many scientific/technological challenges require intensive multidisciplinary studies, calling for new formulations, techniques and innovative solutions from a spectrum of communities in systems engineering/control/communications. IJSCC offers a vibrant discussion forum in this interdisciplinary area, especially communication systems augmented by control techniques and control systems whose components are interconnected via communication networks. View details Isareli Smart energy Association Supporters http://www.isea.org.il ISEA- Israeli Smart Energy Association: The Israeli Smart Energy Association has set as its goal to position Israel as one of the leading countries in the Smart Energy domain, and over its four years of operation has become the focal point for Smart Energy in Israel. View details IT Today Supporters http://www.ittoday.info IT Today serves as a forum for exchanging best practices and insights based on managerial experience in order to advance the practice of information technology (IT or ICT) systems management. Its targeted IT community readership is the same as its targeted authors: IT practitioners and consultants who are thought leaders in applying theoretical frameworks and deriving insights from the field. View details MJMEnergy Supporters http://www.mjmenergy.com MJMEnergy offer energy consultancy, training and publishing solutions to energy companies worldwide. A multi-disciplined team of experts, all currently working within the industry, are available for consultancy assignments, training presentations and publishing projects. View details OilVoice Supporters http://www.oilvoice.com/ OilVoice is a valuable source of upstream oil industry reference, featuring a global selection of oil company profiles in one location, alongside continually updated industry news, operational data, focused regional information, contact details and key industry personnel. View details S News Supporters http://www.snewsonline.com S News: web, webtv, magazine. S News is an innovative concept of giving information and communication in the Security, Safety, Services, Private Security and Cash in Transit world. Everyday you can read the latest news on www.snewsonline.com, follow the television interviews, company and product presentations, the best practices, the tutorials and the reportages of the most significant events of the sector. Clear and direct information, made with style by a team of people who know very well the market and, at the same time, the most appropriate, innovative and performing dynamics of communication. View details Smart Grid Spain Supporters http://www.smartgridspain.org Technology and innovation are the main pillars of Smart Grid Spain. The online Spanish technology magazine focuses on topics such as intelligent networks, smart grid communications, smart metering, smart grid analytics, security, interoperability, energy storage, renewables, energy efficiency, ICT and data, and mobility / electric vehicle. Our audience is large and growing, and the website is fully optimized for mobile devices, including tablets and smartphones. View details Technology Conferences Supporters http://www.technologyconference.com TechnologyConference.com is a premier resource of professional events, providing the latest information on technology events for R&D, business development and marketing professionals in technology-intensive industries. TechnologyConference.com is one of the most widely-read technology event publications, providing the latest information on technology events for R&D, business development and marketing professionals in knowledge-intensive industries. Decision-makers at Fortune 500 companies, government agencies and R&D organizations watch the technology event announcements published at TechnologyConference.com and its media partnership network. View details WSN Buzz Supporters http://www.wsnbuzz.com WSNBuzz.com is a blog providing fresh updates on smart grid technologies, covering new standards, products, deployments, industry moves and events of interest. SecurityMatters provides critical infrastructure and industrial automation companies with best-of-class industrial cyber resilience technology that enables quick identification and recovery from threats to operational continuity. SecurityMatters has a global customer base, with partners and customers in all critical industries. The unique knowledge and expertise of SecurityMatters were recognized by Gartner in 2014, when SecurityMatters became the first company ever nominated as a Cool Vendor for technology and service providers in the OT market. Based on continuous research and development, innovation and dedication to excellence we continue to strive and lead the way in industrial cyber resilience. Waterfall Security’s mission is to revolutionize the way industries protect their physical assets and processes from remote cyberattacks. With patented unidirectional technology embedded in each product of Waterfall’s portfolio, our customers are able to balance business and operational needs with their required level of cybersecurity. Business requirements are fulfilled, and operational processes continue in a safer environment without risks of remote attacks and malware propagation from the external connections. Since 2007, Waterfall Security is the global leader in industrial cybersecurity technology. Waterfall products, based on its innovative unidirectional security gateway technology, represent an evolutionary alternative to firewalls. The flagship product, the Unidirectional Security Gateway, creates an impassable, physical barrier eliminating the possibility of external online attacks from reaching the industrial environment. Through the Unidirectional Security Gateway, real-time access to information from the industrial site is made available, enabling IT/OT integration, operational visibility by headquarters, vendor monitoring, industrial cloud services, and many other advanced and critical business needs. Waterfall offers a comprehensive solution portfolio for a variety of business and operational requirements in many industries. Each solution enables business and operational processes to continue without risk of remote attacks, and does so cost effectively. Having eliminated interactive remote control attacks, industrial sites benefit from cost reductions at many levels. Maintenance costs of the Waterfall technology are dramatically lower than any alternative. In addition, using Waterfall’s technology reduces the costs and facilitates compliance with various governmental regulations and best-practice recommendations such as NERC CIP, NRC, NIST, CFATS, ANSSI and others. The company's growing list of customers include national infrastructures, power plants, nuclear plants, on/off-shore platforms, refineries, manufacturing plants, utility companies, plus many more. Deployed throughout North America, Europe, the Middle East and Asia, Waterfall products support the widest range of leading industrial remote monitoring platforms, applications, databases and protocols in the market. 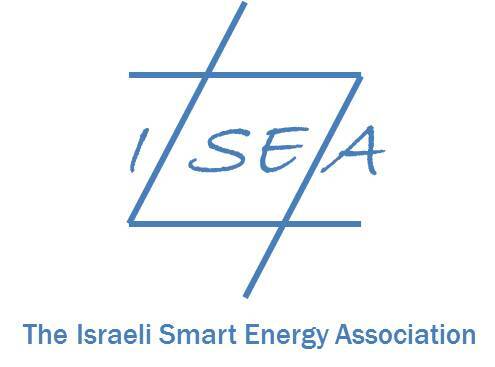 ISEA- Israeli Smart Energy Association: The Israeli Smart Energy Association has set as its goal to position Israel as one of the leading countries in the Smart Energy domain, and over its four years of operation has become the focal point for Smart Energy in Israel. WSNBuzz.com is a blog providing fresh updates on smart grid technologies, covering new standards, products, deployments, industry moves and events of interest. Computer security has been a major concern since the 1950s. The ubiquity of the internet has engendered the prevalence of information sharing among networked users and organisations. This has rendered possible countless invasions of privacy/security worldwide. The risk of invasion has generated enormous concern about information and computer security among businesses, governments, legislators, academics, researchers, scientists and the public. The International Journal of Information and Computer Security addresses development of information and computer security in the fields of information technology, political science, informatics, sociology, engineering and science. TechnologyConference.com is a premier resource of professional events, providing the latest information on technology events for R&D, business development and marketing professionals in technology-intensive industries. TechnologyConference.com is one of the most widely-read technology event publications, providing the latest information on technology events for R&D, business development and marketing professionals in knowledge-intensive industries. Decision-makers at Fortune 500 companies, government agencies and R&D organizations watch the technology event announcements published at TechnologyConference.com and its media partnership network. EDSO for Smart Grids gathers leading European electricity distribution system operators (DSOs) cooperating to bring smart grids from vision to reality. The development of smart grids is a prerequisite to reaching the EU’s ambitious energy, climate, internal market and energy security objectives. EDSO and its members are committed to this challenge whilst at the same time promoting the reliability, optimal management and technical development of the electricity distribution grids. Our association is the key interface between the DSOs and the European institutions, promoting the development of smart grid technology, new market designs and regulation. You can find more information on our website and brochure. IJESDF aims to establish dialogue in an ideal and unique setting for researchers and practitioners to have a knowledge resource, report and publish scholarly articles and engage in debate on various security-related issues, new developments and latest proven methodologies in the field of electronic security and digital forensics. This includes the measures governments must take to protect the security of information on the Internet, the implications of cyber-crime in large corporations and for individuals, vulnerability research, zero day attacks, digital forensic investigation, ethical hacking, anti-forensics, identity fraud, phishing, pharming, relevant case studies, and "best practice" for tackling cyber crime. IJSN proposes and fosters discussion on and dissemination of network security related issues. IT Today serves as a forum for exchanging best practices and insights based on managerial experience in order to advance the practice of information technology (IT or ICT) systems management. Its targeted IT community readership is the same as its targeted authors: IT practitioners and consultants who are thought leaders in applying theoretical frameworks and deriving insights from the field. Find the latest information on Cyber Security, Access Control Management, Cyber Security Technologies and Markets. Cyber threats to federal information systems and cyber-based critical infrastructures are evolving and growing. These threats can be unintentional and intentional, targeted or nontargeted, and can come from a variety of sources, such as foreign nations engaged in espionage and information warfare, criminals, hackers, virus writers, and disgruntled employees and contractors working within an organization. Moreover, these groups and individuals have a variety of attack techniques at their disposal, and cyber exploitation activity has grown more sophisticated, more targeted, and more serious. As government, private sector, and personal activities continue to move to networked operations, as digital systems add ever more capabilities, as wireless systems become more ubiquitous, and as the design, manufacture, and service of information technology have moved overseas, the threat will continue to grow. In the absence of robust security programs, agencies have experienced a wide range of incidents involving data loss or theft, computer intrusions, and privacy breaches, underscoring the need for improved security practices. These developments have led government officials to become increasingly concerned about the potential for a cyber attack. S News: web, webtv, magazine. S News is an innovative concept of giving information and communication in the Security, Safety, Services, Private Security and Cash in Transit world. Everyday you can read the latest news on www.snewsonline.com, follow the television interviews, company and product presentations, the best practices, the tutorials and the reportages of the most significant events of the sector. Clear and direct information, made with style by a team of people who know very well the market and, at the same time, the most appropriate, innovative and performing dynamics of communication. MJMEnergy offer energy consultancy, training and publishing solutions to energy companies worldwide. A multi-disciplined team of experts, all currently working within the industry, are available for consultancy assignments, training presentations and publishing projects. Cities Today is the only global media platform containing analysis, comment and best practices on sustainable urban development, connecting local governments with public and private sector solutions. With an expert editorial advisory board comprising the World Bank, UN-Habitat, UNEP, and city associations ICLEI, C40, UCLG ASPAC, UCLG Africa, UCLG MEWA, Sister Cities International and FLACMA, the publication highlights the challenges facing city leaders and local governments in mobility, finance, smart technology, health care, energy efficiency, water, sanitation, security and housing. CyberSecurityJobsite.com is an on-line job board designed and marketed to attract candidates who work within the Cyber Security environment. We advertise 100’s of job opportunities both on a Permanent and Contract basis covering opportunities within all industry sectors. Visit our site www.CyberSecurityJobsite.com to search for your next job opportunity. Technology and innovation are the main pillars of Smart Grid Spain. The online Spanish technology magazine focuses on topics such as intelligent networks, smart grid communications, smart metering, smart grid analytics, security, interoperability, energy storage, renewables, energy efficiency, ICT and data, and mobility / electric vehicle. Our audience is large and growing, and the website is fully optimized for mobile devices, including tablets and smartphones. Launched in June 2006, Bodo’s Power Systems magazine serves the Power Electronics, Power Management, Power Conversion, Intelligent and Embedded Motion Control markets worldwide for systems design engineers. The European Network for Cyber Security (ENCS) is a non-profit member organization that brings together critical infrastructure stake owners and security experts to deploy secure European critical energy grids and infrastructure. Founded in 2012, ENCS has dedicated researchers and test specialists who work with members and partners on applied research, defining technical security requirements, component and end-to-end testing, as well as education & training.